FOOTBALL IS ALL ABOUT INCLUSIVITY. The most beautiful element of the sport is that it is available to anyone, and holds no regard for creed, colour or ability. This applies to players thrust into the spotlight and coaches who have to be thick-skinned and impervious to even the harshest criticism. With the right combination of the two, a football club has every chance of being successful both on and off the pitch. However, only a select few clubs have the honour of residing within the halls of footballing royalty, having woven their way to trophies and into the hearts of the watching masses. 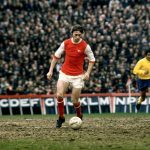 The likes of Barcelona, Real Madrid and Ajax are all common denominators in discussions about the world’s most romantic football clubs as pioneers and entertainers who have single-handedly sculpted the boundaries of the modern game. A closer look at the English pyramid unsurprisingly shows that Manchester United, Liverpool, Arsenal and Chelsea have gained the most silverware. However, one of the country’s greatest fallen giants ought to reside with them. 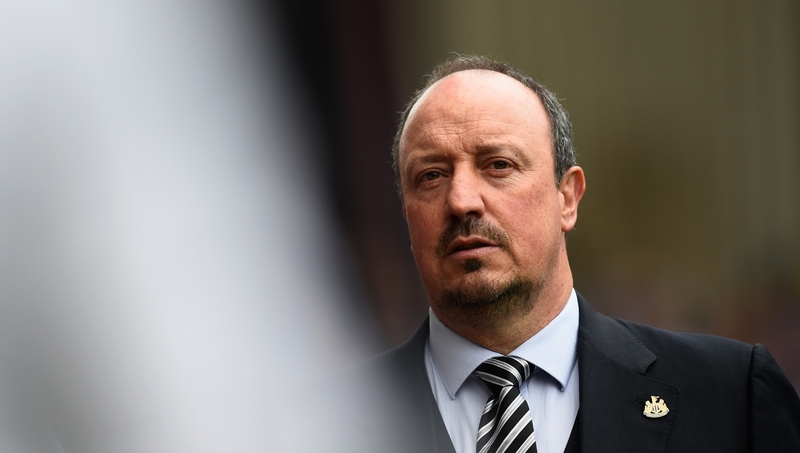 Rafa Benítez, the sincere Spanish tactician, certainly has a tall order on his hands at Newcastle United. He has a talented squad at his disposal, but improvements are much needed. The Premier League is demanding, unremittingly relentless and has broken the hearts of many a promoted club without sufficient resources for survival in the top flight. Benítez possesses a career blessed with experience at some of Europe’s largest football clubs, and will need every sinew of it to shape the future of the Magpies. His story has been one full of ups and downs, spanning from the looming Bernabéu, the breath-taking scenery of Naples, and now to his most ambitious project yet. Benítez was born in Madrid and held an avid interest in football from a young age. However, it would be fair to argue that he led an understated playing career, including spells at Real Madrid Aficionados and Castilla CF. Alongside his time spent on the pitch, Benítez earned a degree in physical education from the Universidad Politécnica de Madrid in 1982. In an ill-timed twist, just a few years earlier, the future tactician had been seriously injured playing for the Spain Universities XI in Mexico, which saw him sidelined for a year. Despite short-lived spells at Parla and Linares, the injury continued to haunt the Spaniard, who subsequently retired from professional football. 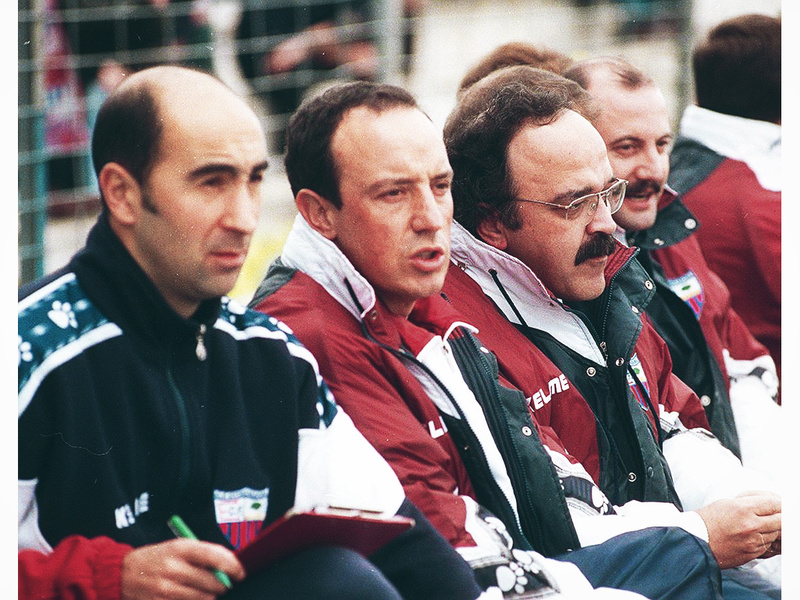 With his degree in physical education now proving to be a valuable asset, Benítez found himself thrust into the world of coaching, joining the Real Madrid staff in 1986. At the start of the season, he was appointed coach of Castilla B, and won two league titles in quick succession. This saw him promoted to the Real Madrid under-19 staff, before several other fruitful seasons with various Real youth teams finally saw him take up the position of Vicente del Bosque’s right-hand man for the senior squad. Despite the high-profile position he held, Benítez was aware he would need experience at other clubs to fully break into the cut-throat world of management. The Madrid native endured a nightmare start to life away from the Bernabéu, with sackings at Real Valladolid and Osasuna and a resignation while coaching Extremadura. 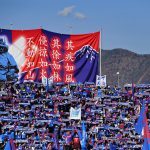 A year away from the technical area saw Benítez take up several punditry positions, before returning to the dugout with Tenerife, who he helped earn promotion to La Liga after a third-place finish in the second tier. Rather than experience Tenerife’s first season back in the top league, Benítez was snapped up by another club in the same division – Valencia. The club had approached three other candidates but had been rebuffed by them all. Club director, Javier Subirats, recognised the potential of the budding Benítez and helped to finalise the appointment. The new manager quickly set about winning the fans over, while he introduced an effective mixture of vibrant, attacking football. These outgoing tactics helped Valencia win La Liga in 2002 – their first domestic triumph in 31 years. The next season saw the club fail to replicate their success as they finished fifth in the league. To make matters worse, Benítez’s debut season on the touchline in the Champions League ended at the quarter-final stage. However, the impressive goalscoring exploits of Mista fired his team to another league triumph the following season, with the player going on to find the back of the net 19 times. 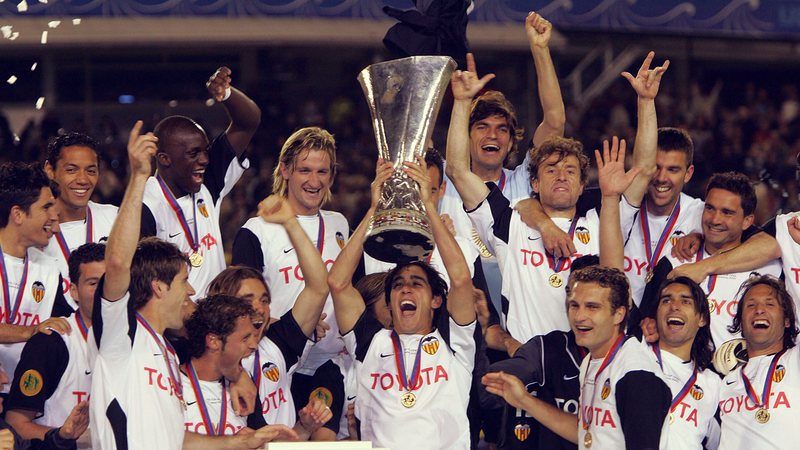 Valencia also won the UEFA Cup after a comfortable 2-0 victory over Marseille. Despite the success, and the fans overwhelmingly backing Benítez, boardroom tensions between the manager and the director of football saw the Spaniard resign on 1 June 2004. Just two weeks later, Benítez found himself at Anfield after being named the new Liverpool manager. The new appointment made him the first Spaniard to manage in England’s top division, and he had the monumental challenge of stabilising a club with key players wanting to rapidly jump ship. Сaptain Steven Gerrard had his heart set on a move to rivals Chelsea, but Benítez intervened and ensured the English midfielder remained. He was unable to convince Michael Owen to stay, however, and the striker made the move to Real Madrid shortly after, but managed to bring in several players during his first transfer window in England. Chief among them were Luis García and Xabi Alonso, both of whom immediately settled into the club’s culture and became fan favourites. Liverpool’s form in the Premier League didn’t change drastically from the previous season, despite Benítez’s change of tactics and the notable improvement of Jamie Carragher at the back. The team finished fifth in the Premier League, despite injuries to key players disrupting any form they managed to piece together. Benítez also led his team to the League Cup final, although they went on to lose 3-2 to Chelsea at the Millennium Stadium. It was in the Champions League that Liverpool were most impressive in Benítez’s debut season under the Kop floodlights. The team scraped through to the last 16 of the competition thanks to their head-to-head record, and dispatched Bayer Leverkusen and Juventus during the next stages. Liverpool had made it to the semi-finals, and were drawn against José Mourinho’s Chelsea. The first leg ended in a goalless stalemate at Stamford Bridge, setting the scene for the infamous Anfield return fixture. Just three minutes in, John Arne Riise cut inside from the left channel and found Gerrard, who played a first-time flick with his right boot. The touch landed at the feet of Milan Baroš, who stabbed the ball goalward past the sprawling Petr Čech. William Gallas’ best attempts to clear his lines failed when Luis García appeared to have added the finishing touch to the move – despite replays showing the ball may not have fully crossed the line. No matter how deep the controversy was, and no matter how much Mourinho would complain about the decision to allow the goal, Liverpool and Benítez had made it to the final. The English club would have to triumph over Italian giants AC Milan at the last hurdle, who had beaten the likes of Manchester United, Internazionale and PSV in the competition’s previous stages. The Italians continued their scintillating form in the final, as they opened the scoring inside the first minute. After Djimi Traoré conceded a free-kick, dead-ball specialist Andrea Pirlo whipped in a dangerous ball that was turned in by AC Milan captain Paolo Maldini. The goal made the senior defender the oldest scorer in the history of the competition – and ensured Benítez’s side got off to the worst possible start. The night would only get worse for the Spaniard and his beleaguered English charges. A Milan counter saw Kaká bring the ball forward into Liverpool’s half, before feeding through Andriy Shevchenko. The forward then picked out Hernán Crespo at the back post, who duly converted to make it 2-0. Crespo then grabbed his second of the game shortly after, with a deft chip over Jerzy Dudek. As clinical as Milan were before the interval, Benítez steadied his team and remained calm during the interval, breathing new life into Liverpool’s players. They began to believe the impossible could happen. Gerrard glanced home a header before Vladimir Šmicer beat Dida to further close the gap between the two teams. Just three minutes later, Liverpool were back level when Xabi Alonso tapped home the rebound after his penalty had been saved. Extra time came and went as the final went the whole distance. Of course, the rest is history. Jerzy Dudek saved Shevchenko’s final penalty with a strong left hand, despite throwing himself the wrong way, and Liverpool were champions. Benítez had steered his team of unlikely heroes to European triumph. An FA Cup triumph in the next season coupled with a third-placed domestic finish saw his stock rise even higher. But with new owners George Gillett and Tom Hicks not investing in the players that Benítez demanded, relationships began to sour. A series of second and third-placed finishes for Liverpool showed that progress had been made throughout Benítez’s tenure, but defeat in another Champions League final, a high-profile verbal attack on Sir Alex Ferguson, and the lack of a title win saw the manager’s position become insecure. In the 2009/10 season, after his side had limped to a seventh-place finish, Liverpool announced that Benítez had left by mutual consent. A reported £6 million pay-off brought about the end of the Spaniard’s escapades on Merseyside. Benítez’s next adventure would be in Italy, as he took the reins at Inter Milan only a few days after leaving England. In August 2010, he won his first trophy as Inter manager when his side defeated Roma 3-1 to lift the Italian Super Cup. A slow start in the league, however, wiped out all hopes of a title challenge, and winning the FIFA Club World Cup did nothing to secure Benítez’s job. After a rumoured falling out over a lack of backing from the board, the Spaniard’s short tenure at the San Siro came to its end on 23 December. His next appointment over a year later wouldn’t be received well, as he was announced as interim manager at Chelsea, one of Liverpool’s Premier League arch-rivals who had of course been on the receiving end of the contentious ghost goal seven years before. Roberto di Matteo had been sacked early in the season after a poor run form, despite having helped the Blues win the Champions League against the odds the previous year. Benítez picked up the mantle and was expected to secure European football at the very least. The Spaniard had to endure a hostile reception in his first game at Stamford Bridge, which ended in a 0-0 draw with Manchester City. This result was followed by a poor stalemate against Fulham and a 3-1 loss to West Ham. The patchy form saw Chelsea fall away from the title hunt, and the club also exited the Champions League at the group stage – further piling pressure onto Benítez’s shoulders. On 23 February, the manager confirmed he planned to leave the club at the end of the season, and criticised the board for only handing him the title of interim manager. Chelsea ended their 2012/13 campaign with victory in the Europa League final against Benfica and a third-place finish in the Premier League. True to his word, Benítez exited the club shortly after. He then endured a mixed spell at Napoli, before being unveiled as Real Madrid manager. However, after only half a season in charge of Los Blancos, Benítez was sacked from his position, with the board citing unpopularity among supporters and a failure to secure positive results against the top sides in Europe. The Spaniard’s rough run of jobs finally came to an end in 2016, with Newcastle United announcing him as manager in the midst of a desperate relegation battle. Despite the club eventually succumbing to the inevitable, he remained at the club and took them back to the top flight at the first time of asking.